Every year at the end of March, millions of students enjoy a well-deserved break from their studies. Many spend their vacations traveling to exotic locales with their friends and families. College students in the United States spend at least $1 billion annually on spring break activities. Whether you’re a student or just an entrepreneur, there are a ton of ways to profit from this holiday. 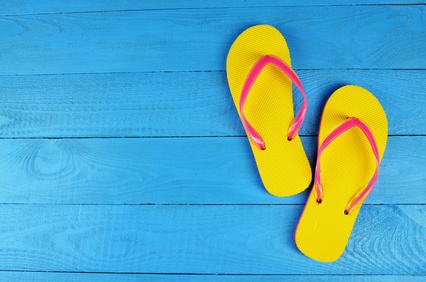 Every spring breaker needs accessories like sun glasses, sandals and beach towels to make their excursions more enjoyable. Buy spring break staples in bulk at least six months before the holiday season when they’re cheap and flip them for a healthy profit. The Fulfillment by Amazon program is one of the best way to reach a wide audience. If you live in a college town, there are legions of students that are hanging around during spring break looking for recreational opportunities. Organizing an alternative spring break can be highly remunerative. Whether it’s a kickball tournament or a scavenger hunt, a fun activity for the college kids is a great business opportunity that’s not difficult to organize. A spring break trip is all about creating memories. T-shirts are wonderful mementos that allow vacationers to relive the good times after they get back home. What’s more, t-shirts are easy to create and tend to sell themselves. Use a site like Teespring to produce cool, one-of-a-kind t-shirts and market them on Facebook. Working as a taxi driver is the easiest way to make money from spring break travel. Vacationers need rides to and from the airport as well as convenient transportation around town once they reach their destinations. Clean out your car, sign up with a service like Uber or Lyft and aggressively pursue fares during the busy spring break season. If there’s a college or university in your town, there are going to be many students looking to make a quick buck when classes aren’t in session. You can use those kids as the workforce that will staff a temporary car wash. Pick a location, stock up on cleaning supplies and advertise well in advance of the event. Every spring break, there are tons of kids who don’t go on vacation and need wholesome activities to pass the time. You can make a few quick bucks by organizing a day camp where children can participate in sports, academic pursuits and crafts. All you need is a location, a few responsible supervisors and word-of-mouth advertising to succeed. Spring break is a great time for homeowners to clean and organize their houses. A housecleaning service that specifically targets the spring break season can be highly lucrative given enough advance promotion. Focusing on customers that will be gone during the break is a smart idea. Round up some cleaning supplies, hire a few temporary employees and get to work. Cleaning up yards once the snow has melted is a labor-intensive process that many homeowners like to avoid. If you have a truck or van, a few outdoor power tools and a willingness to get your hands dirty, you can make tons of money in a short period of time. The great thing about landscaping is the low barrier to entry for small-time entrepreneurs. If you live in a spring break destination like South Padre Island or Daytona, you can make quick money tending bar for a week. If you live in a college town, you can pick up the slack for local establishments with short-term labor shortages. Either way, one-off or temporary entertainment gigs are always surefire winners. If you have a large Twitter following, you can make decent money by promoting other businesses via the Promoted Tweets program. All you need to do is sign up, find advertisers like hotel or restaurant chains and mention them in targeted tweets. The key is to avoid losing your loyal Twitter following in the process by being overly promotional. Many spring break participants own pets that they can’t take with them on the trip for one reason or another. If you have the kennel space at your home, you can offer a once-a-year pet-sitting service for vacationers and make plenty of cash. Pet-proof your home, stock up on pet food and advertise a few months ahead of schedule. Every great spring break party has music and amusements. You can earn plenty of dough by booking bands for gatherings and taking a cut of the money as a commission. Alternatively, you could pick up a guitar and entertain the crowd yourself if you have the musical talent. If you’re a real wizard in the kitchen, you can whip up your own margaritas and finger foods for party-goers and make a fistful of cash. If you’re not great at cooking, you can just buy food platters and sell them at a substantial mark-up. At the end of the day, most spring breakers want a memento to go with their experiences. While many will simply use their iPhones and Androids to snap shots, you can one-up them with a great photo booth. All you need is a van, a decent camera, some image-editing software and a way to get the physical prints to the customers. Last but not least, you can always make money by promoting the products of others via affiliate sites. Lock down a domain name, learn how to create a site with WordPress and use the Amazon affiliate program to refer buyers to eager sellers. Just be sure to pick a low-competition niche for your site to maximize your profits while minimizing time and money spent on attracting visitors. As you can see, the profit potential of the spring break season is limitless if you stretch your imagination a bit. The key is preparing for a venture well in advance and striking while the iron’s hot. Any of the ideas mentioned here can work for you if you’re willing to lay the necessary groundwork ahead of time.